St Patrick’s College believes in the importance of language learning in order to foster global citizens. The college recognises that there is a rich linguistic and cultural diversity of non-English speaking background communities within the College community. The study of languages provides opportunities for students to become more accepting of diversity, more respectful of others and more aware of their place in the international community. High quality education in languages enables students to respond positively to the opportunities and challenges of this rapidly changing world. There is also a focus on explicitly developing students’ literacy skills. Technology is used as a medium to enhance the language learning experience by engaging students in the learning process and providing authentic access to the target language. Other languages not offered by the College are accommodated through Open High School study. Japanese, German, Chinese, Spanish and Indonesian are examples of additional Open High School courses chosen by students who want to maintain family language and cultural links. 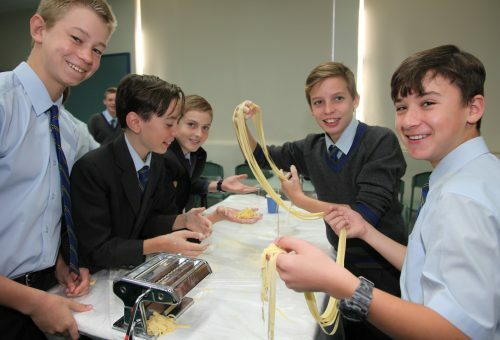 The College also offers a biannual immersion experience to Italy for students in Year 10 and above.